New! Complete and send your Data Card electronically! The Fund now offers the convenience of completing and sending your Data Card electronically. 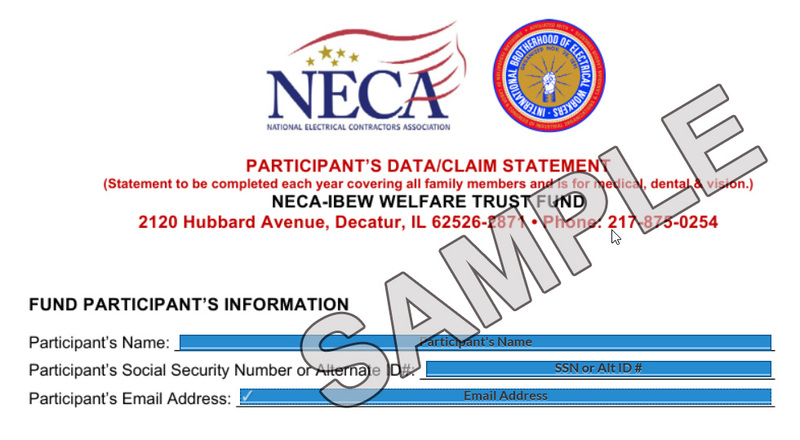 A data card is a form that is required by the NECA-IBEW Welfare Trust Fund. The data card contains your information, your contact information, and your family's information, as well as information about any other insurance that yourself or a family member may have. Data Cards are required to be updated annually, or anytime your information changes. When do I need to update my Data Card? How do I complete and send a Data Card electronically? There are three options, depending on your situation. Choose one of the three options below. If you still have questions or need help, please email datacard@neca-ibew.org, or call the Fund Office at 1-800-765-4239 ext. 113.